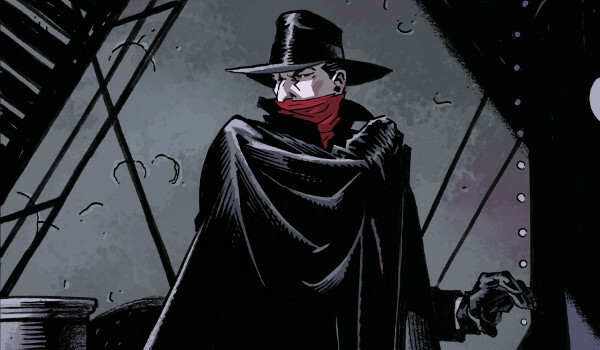 Following the loss of Margo Lane, the Shadow begins to feel untethered without his companion's council. After paying a visit to one his most loyal soldiers, Dr. Tam, Lamont feels steady enough to continue his search for he illusive Red Empress. Despite losing control at one point while scaring the information he needs out of a witness, the Shadow is able to finally find the secret mobile lair of his enemy. Parachuting onto the boat in the dead of night, the Shadow makes his way into the inner sanctum and finally comes face-to-face with the Red Empress who knows far more about the Shadow than he could ever have suspected. Setting up the final showdown between the pair in next month's final issue of the five-issue mini-series, writer/artist Matt Wanger reveals the identity of the Shadow's new nemesis to be Zhu Khanum, the daughter of Shiwan Khan. The Red Empress' connection to one of the Shadow's deadliest enemies suggests a formidable opponent. With only one issue remaining the battle between the pair is likely to be swift, but not necessarily come to a definitive conclusion. Worth a look.